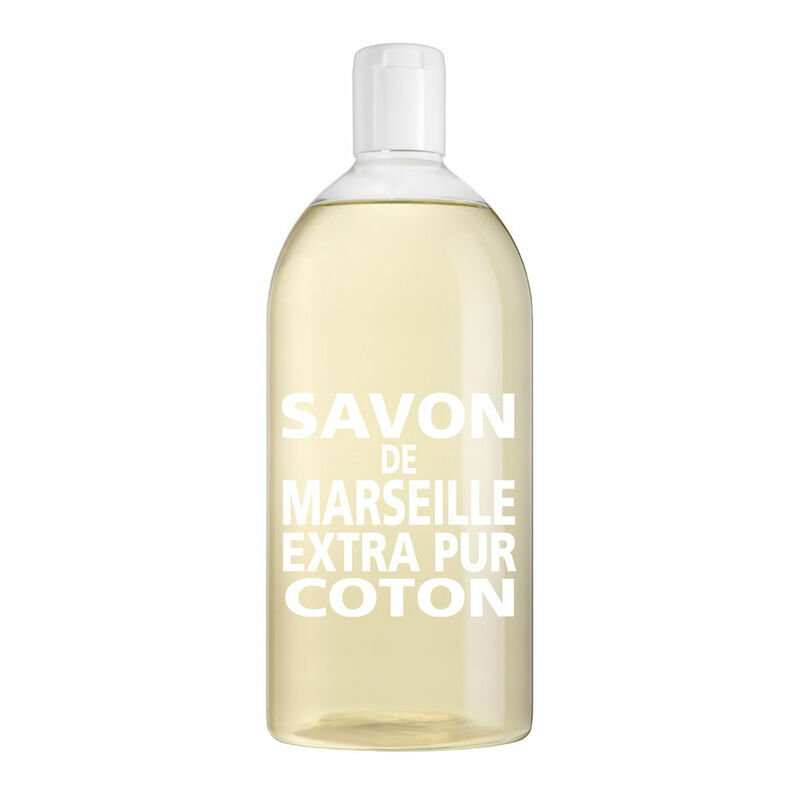 The Compagnie De Provence Liquid Marseille Soap Refill in Cotton Flower boasts one litre of liquid soap designed for refills into 300ml and 500ml bottles. Ensuring you never run out, this bottle contains the unique Cotton Flower soap, created in a traditional cauldron, which works to gently cleanse and hydrate the skin. Suitable for use on the hands and all over the body, it's free from colouring agents, animal fats and synthetic surfactants and uses natural vegetable oil to provide the skin with lavish moisture. K.D. Directions for use: Suitable for frequent hand wash. Can be used for body wash. Apply on damp skin, gently rub and rinse thoroughly.